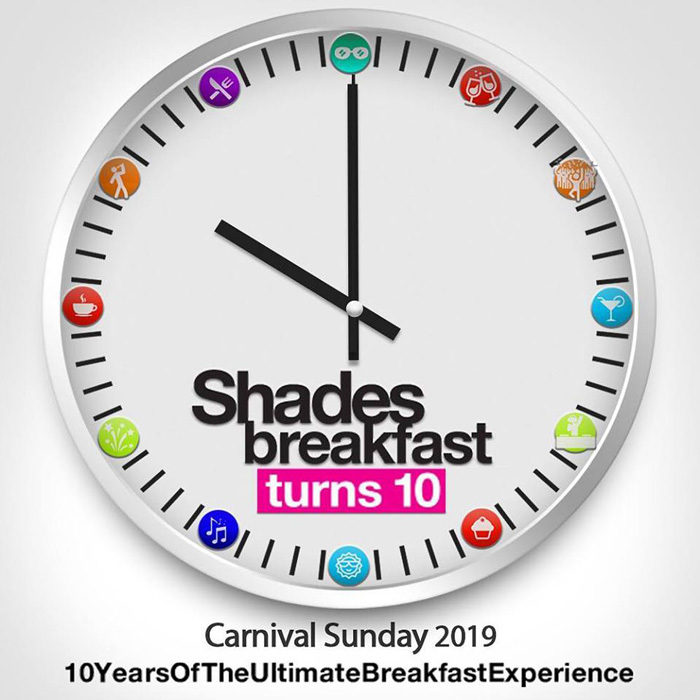 2019 will be Extraordinary as we pull out all stops for our 10 year anniversary. As we prepare to give you The Ultimate Breakfast Experience you can look forward to a magical production. The usual SHADES vibes that cannot be duplicated. To our loyal patrons who have supported us religiously over the past 9 years our introductory price will be $100us for a very limited time. Follow our FB and IG pages for updates. Online tickets will be available from Nov 20th. Shades hotline 4SHADES for details. St. Joseph, IT Trinidad and Tobago W.I.